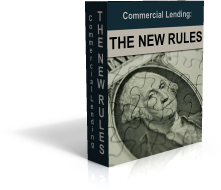 CommercialLendingX.com provides a wide variety of commercial financing options to our Clients. Whether you are looking for purchase money financing or a commercial refinance, we have many solutions to fit your needs. We are experts in all aspects of commercial finance, from small business loans to large business loans, commercial mortgages, and advanced lines of credit and asset based loans. Please click on any one of the loan types to the left to learn more about the specific financing options available to you through CommercialLendingX.com.